Quick: Name the all-time best summer food combination. If you said, “Tomatoes and basil,” you’re right, at least in our world. Juicy, ripe summer tomatoes…sometimes still warm from the sun…served with fresh basil…you simply can’t get better than that. 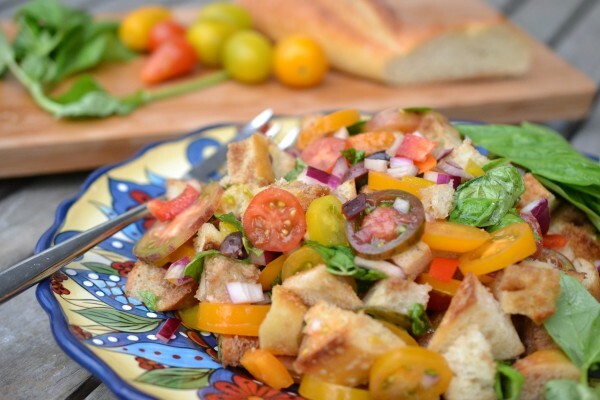 This helps explain why one of our favorite summer salads is panzanella, an Italian bread salad, made with summer vegetables and day-old bread. 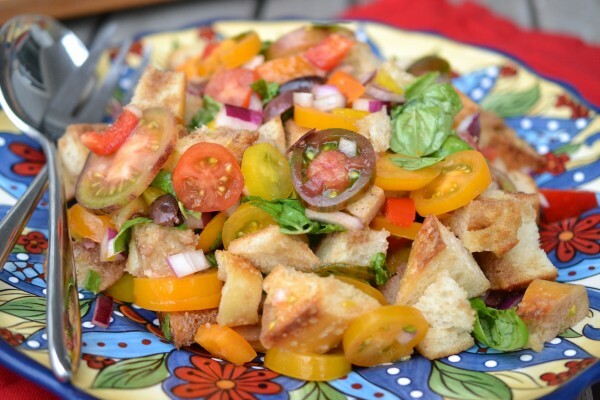 For kids, or at least for our kids, panzanella has at least one more benefit: It’s a salad without really being a salad. There are no big green leaves to plow through; it’s just all of the vegetables they normally like tossed together with a little bread. For a salad newbie, it’s a great way to start out. The key here is to use really good – no, wait – the BEST kind of each of the ingredients. So, in other words, you need the freshest tomatoes, the best bread, the best olive oil, etc. That way you get the purest taste of summer in every bite. 1. Cut the bread into bite-sized cubes, toast the cubes until they are crisp and light brown. 2. 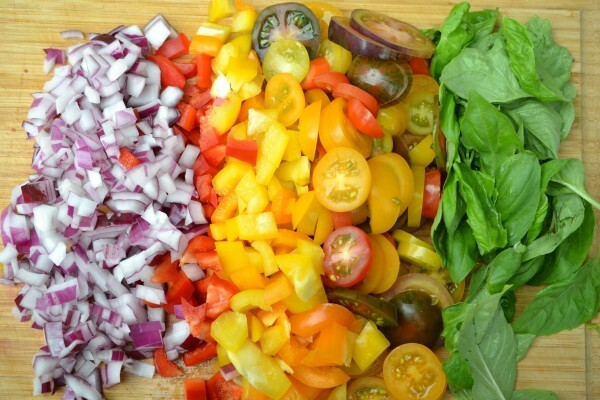 In a large bowl, combine the tomatoes, onion, peppers, and olive. Tear the basil leaves into bite-sized pieces and add to the tomato mixture. Add the bread and toss gently to combine. 3. In a small measuring cup, whisk together the olive oil and vinegar until combined. Add salt and pepper to taste. Pour over the bread/tomato mixture and gently stir to combine. Allow the salad to sit for 20 to 30 minutes to absorb the flavors. Serve at room temperature. Serves 4 to 6. I could eat this all summer long – and frequently do. I also like to add crunchy cucumber. 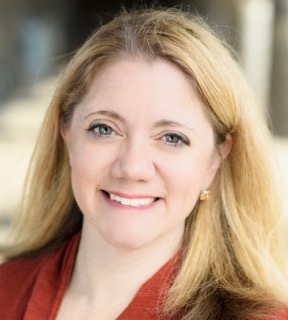 Thanks, Liz! And yes – cucumber is another favorite addition! What a great use of leftover bread! I like it 🙂 And so fresh and summery too!